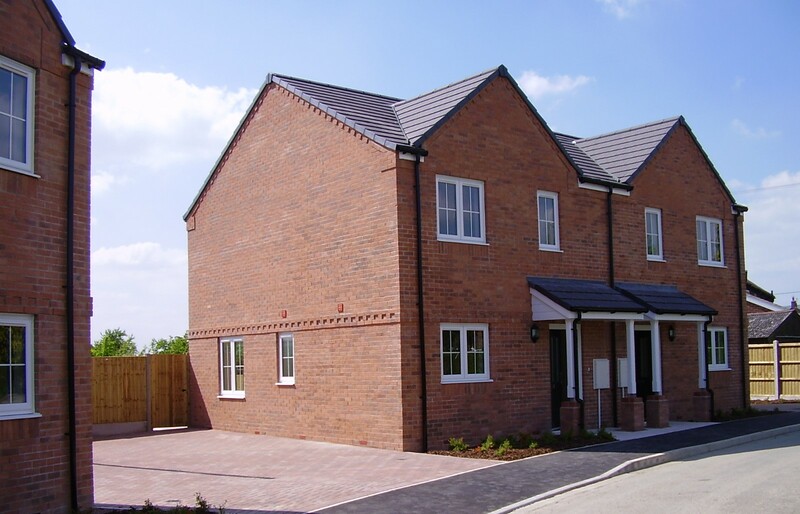 Our property portfolio has continued to grow since the first ten homes were provided at Hadnall in 1982. We aim to continue that growth and will do so by working with landowners, building contractors, consultants and others, welcoming approaches from those interested in working with us. Our future developments are likely to be in the rural parts of Shropshire, Telford and The Wrekin, with a focus on villages and other small settlements. We expect our homes to be built to high standards of construction and comfort and we are committed to providing affordable warmth, more about which is set out below. Whilst our developments tend to be small-scale – typically fewer than ten homes – they can often be vital to the life of rural communities; providing much-needed affordable housing and helping to achieve and sustain balanced communities. If you have land suitable for rural housing or other reasons for wishing to work with us on the development of rural housing, please get in touch. If you are a developer planning to build homes in rural areas and likely to be providing affordable homes as part of your development, we would much prefer to be involved at an early stage: not only does this ensure that we are better able to satisfy our needs but it can be valuable to developers in providing certainty and the control of development risks. 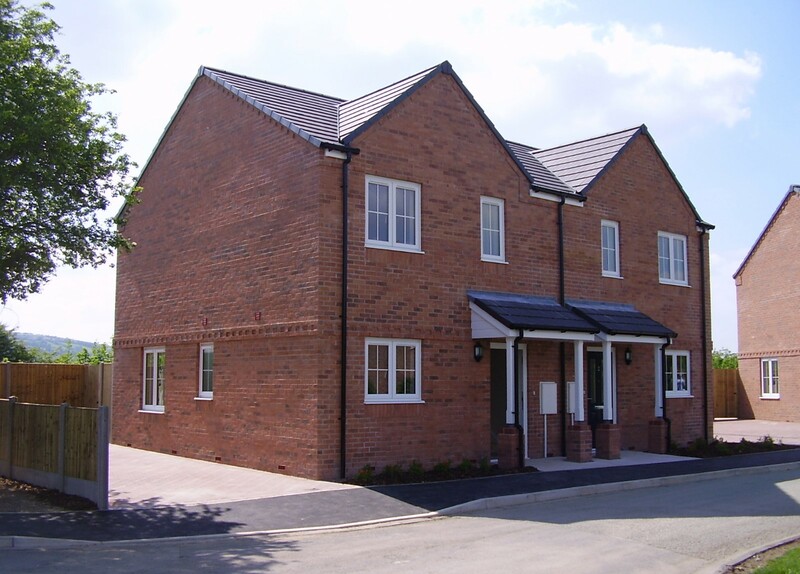 We’re particularly pleased with our development at Rectory Lane, Llanymynech which is, quite literally, within an easy stone’s throw of the border with Wales. The site was the car park of the former Lion Hotel, which had bars in both England and Wales – that should give an even clearer idea of how close to the border the six new homes are! The development has not only met housing need but has brought back into use an overgrown brownfield site which also happens to be in a conservation area. 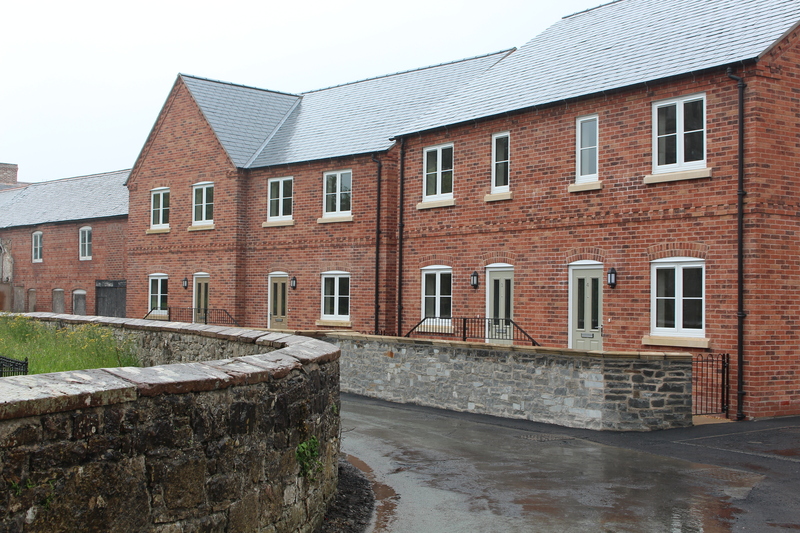 The detailed materials and finishes were agreed with Shropshire Council’s planning and historic environment teams and include heritage grade windows, high quality bricks and a natural stone boundary wall built using lime mortar. Despite these outwardly sympathetic nods to the historic environment, and with each home having a direct view of the Parish Church of St Agatha, the homes are well equipped with modern and environmentally friendly features including ground source heat pumps which provide domestic heating and hot water using renewable energy. The six homes include two semi-detached, two bedroom houses; two semi-detached, three bedroom houses; one two bedroom detached house and one four bedroom detached house, all of which have generous space standards. 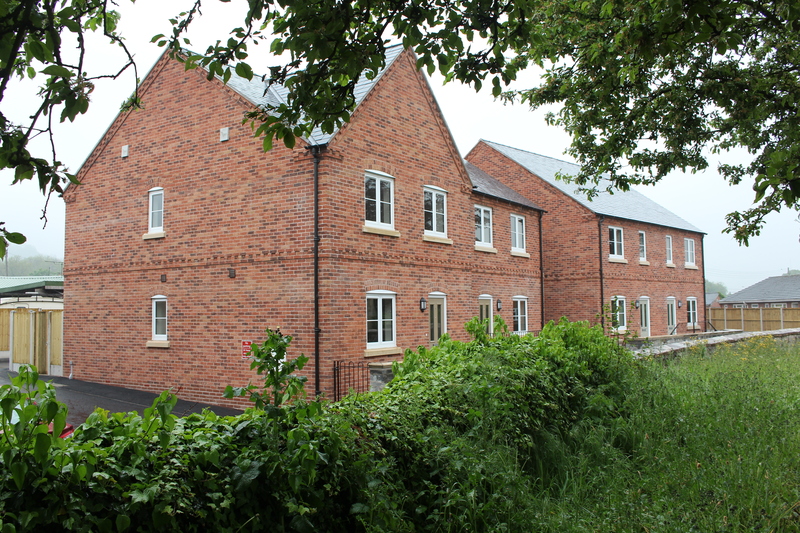 The homes were built for Shropshire Rural by Oswestry-based Pickstock Homes and were let under a ‘local lettings agreement’ which gives priority to people with local connections and which was drawn up with the Parish Council. 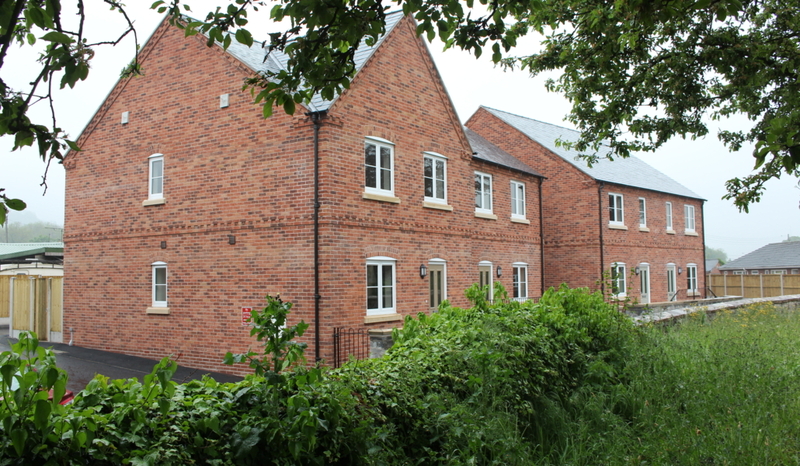 These four two bedroom, semi-detached houses are the first of Shropshire Rural’s to have their heating and hot water provided by air source heat pumps; a renewable form of energy supply which provides clean and affordable energy in an area without access to mains gas supplies. The homes were built on the site of a disused block of lock-up garages purchased from South Shropshire Housing Association (SSHA). The locality doesn’t have access to mains sewage treatment services and the sewage treatment plant serving nearby homes, some of which are owned by SSHA, was in need of replacement. The payment for the land was used by SSHA to subsidise the provision of a brand new sewage treatment plant, installed at the same time as Shropshire Rural’s houses were being built. The new houses are connected to that plant; ensuring a satisfactory outcome for all concerned. Lydham, although a small settlement, is served by a thriving Friday market in the Village Hall, which hosts a range of other activities. Those living in Lydham also have access to both Bishops Castle and Church Stoke, where more extensive facilities can be found. In a ‘first’ for Shropshire Rural, the Association also provided the village with a bus shelter. There are open and attractive views across the rural landscape from the bus stop but those open views also mean that those waiting at the bus stop were previously at the mercy of the weather as the prevailing wind and rain blew across open fields straight at them… waiting in greater comfort is now possible! Street naming can be a source of much deliberation and so you might be interested to know that ‘Poolshead Corner’ came to be the preferred address following consultation. Local historians, Janet & David Preshous provided a range of helpful suggestions of local relevance. In the end, we opted for Poolshead Corner as the homes were built on the corner of the lane that leads to Poolshead… it seemed somehow appropriate.